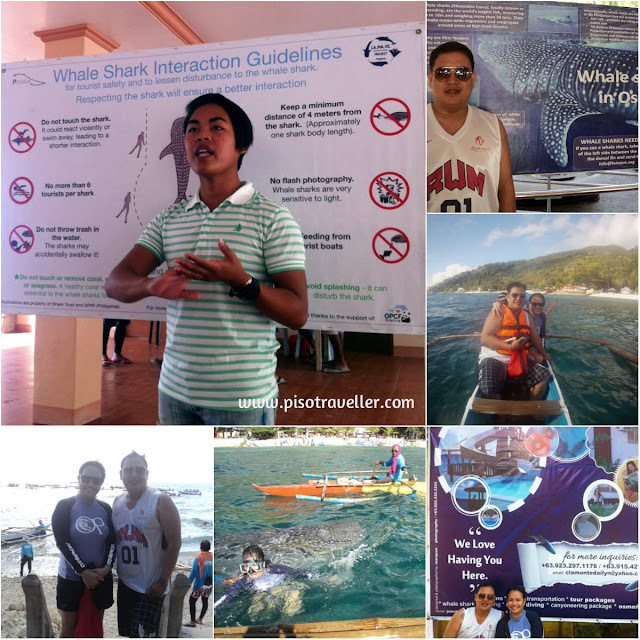 The highlight of our recent Cebu trip was the Whale Shark Watching in Oslob. I while not engage you in the debate regarding the morality or the eco-friendliness of this activity, but that I enjoyed it and I wish these gentle whale sharks no harm. So, to go to Donsol from Cebu City, you have to ride a bus bound to Donsol at the Cebu City South Terminal. It is near Parkplace and you can take a taxi or jeepney going there, just ask for directions. The travel is around 3 hours and the fare is P150. Remember to go there very early because this activity is until 11am only. Tell the conductor that you are going to Oslob for the whale shark watching and he will drop you off right at the place. You will have register, listen to a short presentation, rent an underwater camera (P550 with CD) and then head to your boat. 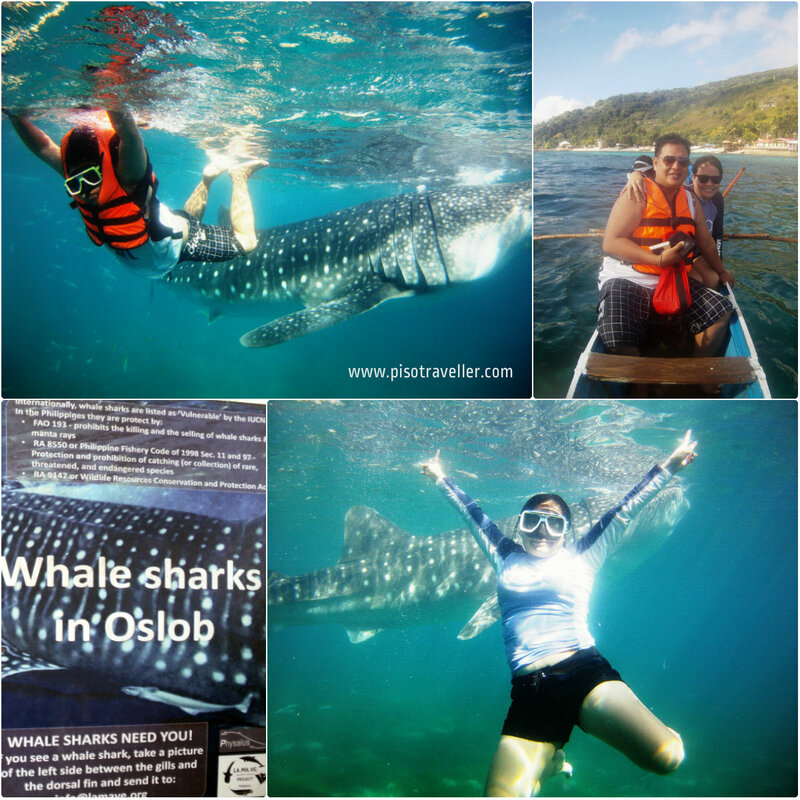 You pay P500 (including snorkeling gear) if you want to swim with the whalesharks and only P300 if you will only stay in the boat. Then tip for the boatmen, of course. 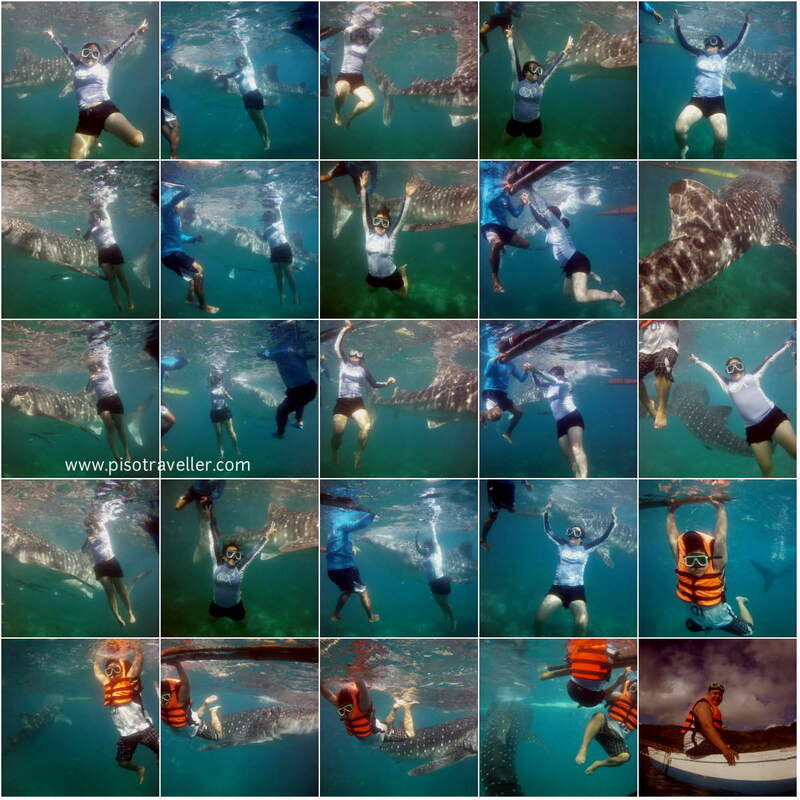 These are just some of the action shots from the underwater camera. We have 3 boatmen with us since we both didn't know how to swim. 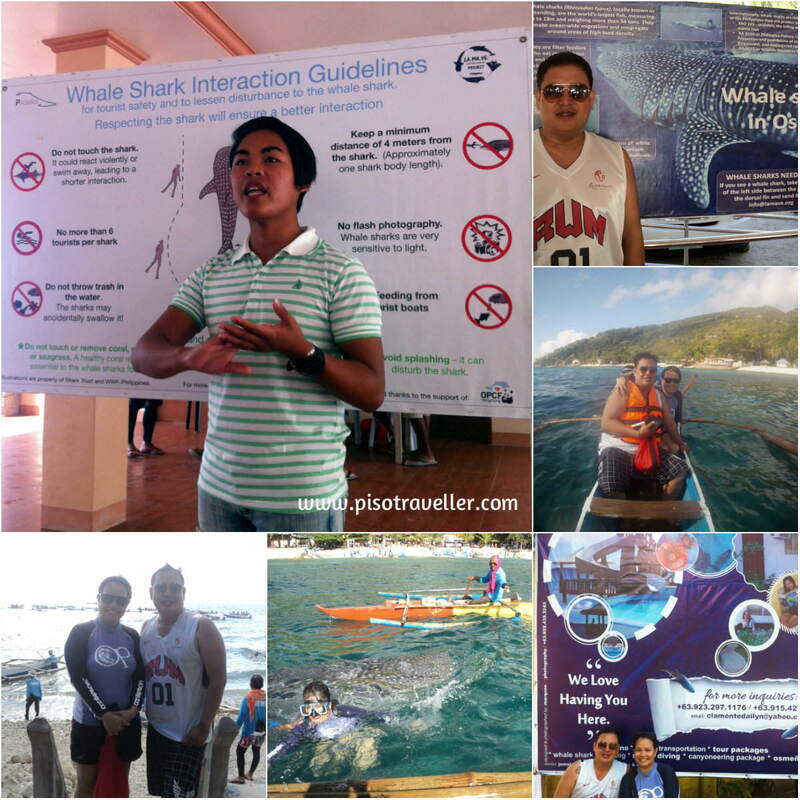 One manong would push us down while the other takes pictures and another looks for the whalesharks. It was fun and exciting and frightening at the same time!